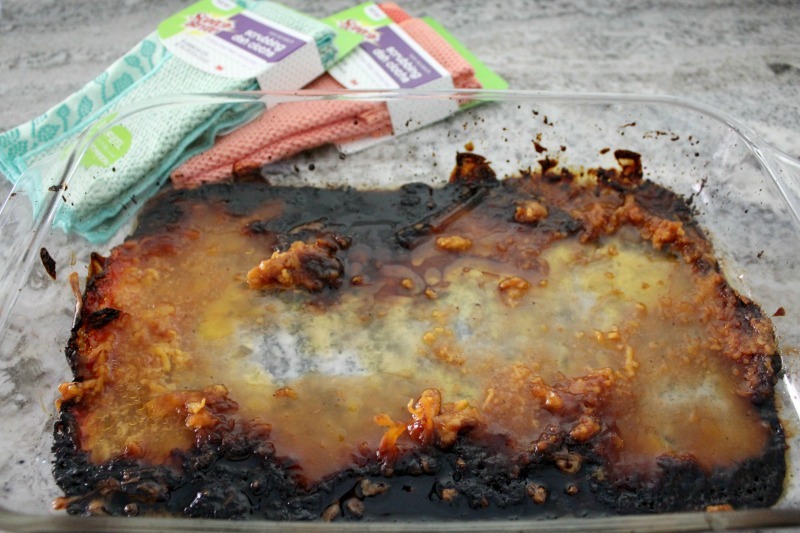 Before I started blogging, I wasn’t really into cooking. I didn’t mind it but it certainly wasn’t anything I looked forward to. However, in the last year I’ve really started to enjoy it! 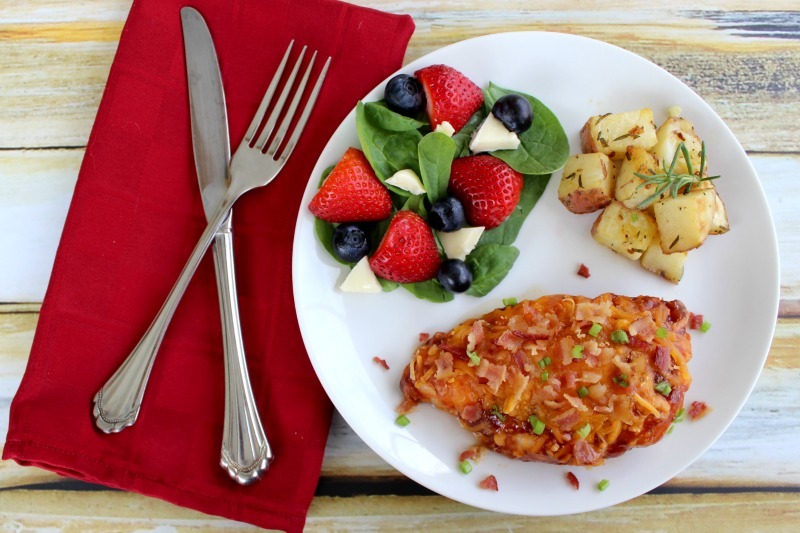 It’s fun to come up with new recipes and my hubby is pretty happy about it too because he no longer has to eat the same two chicken dishes every time I cook! One thing that I could still do without is the clean up. Are you with me? I keep wishing for a cleaning fairy to come make all the dirty pots and pans disappear but her GPS must be sending her to the wrong house! Until she gets that thing working, it’s up to me to do it all. Depending on what I cook, some nights are easier than others. 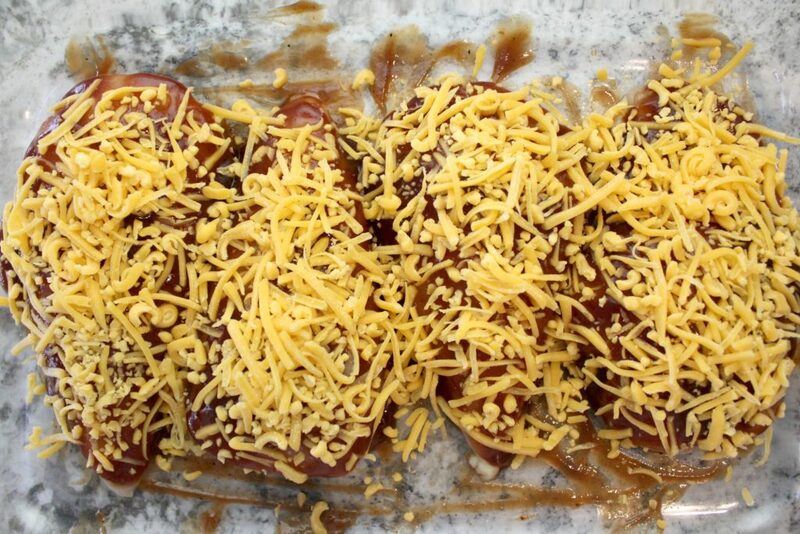 The messiest dish nights are when I make my Cheesy BBQ Bacon Chicken…between the BBQ sauce and the cheese, the pan is just a complete mess when I’m through. However, it’s so delicious that the clean-up is totally worth it! Luckily, I’ve discovered a new product that makes clean-up a little easier. While I like dish towels, I always end up having to use a knife to remove any baked on food. It’s kind of a pain but now there’s a better option. 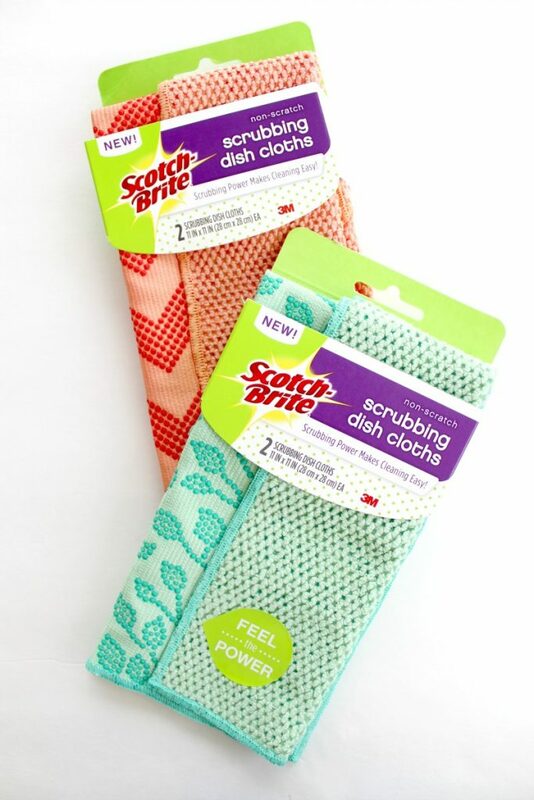 The new Scotch-Brite® Scrubbing Dish Cloths are made up of a high quality fiber dishcloth on one side and Scotch-Brite Scrubbing Dots on the other side. 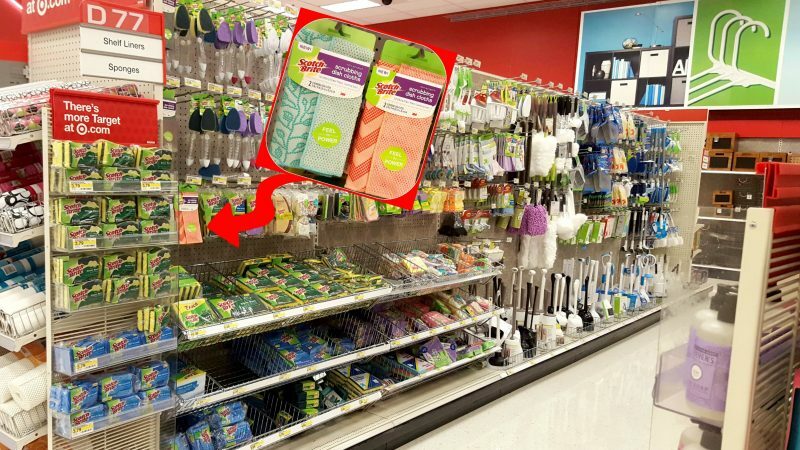 Now you have more scrubbing power to get to those stuck on messes, making clean-up faster and easier! I also love that when you’re done, you can just throw it in the washing machine so that it’s fresh and clean for your next big scrubbing job. I picked mine up at Target where the 2-packs come in gray, mint, coral and navy for $4.99. If you shop from June 19-25, you can save money using this Cartwheel offer. I grabbed two packs so that my girls could each have their own to help with clean-up (hey, if I can’t have a fairy, I’ll take what I can get). I’ve been trying to include my girls more with clean-up around the house so that they’re really earning their allowance…more about that later. While I was there, I also picked up the Market Pantry chicken and shredded cheddar that I needed for my recipe. 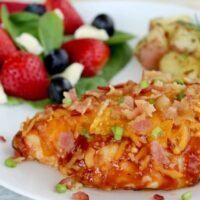 I love how easy this recipe is to make (easy meals are definitely my favorite)! 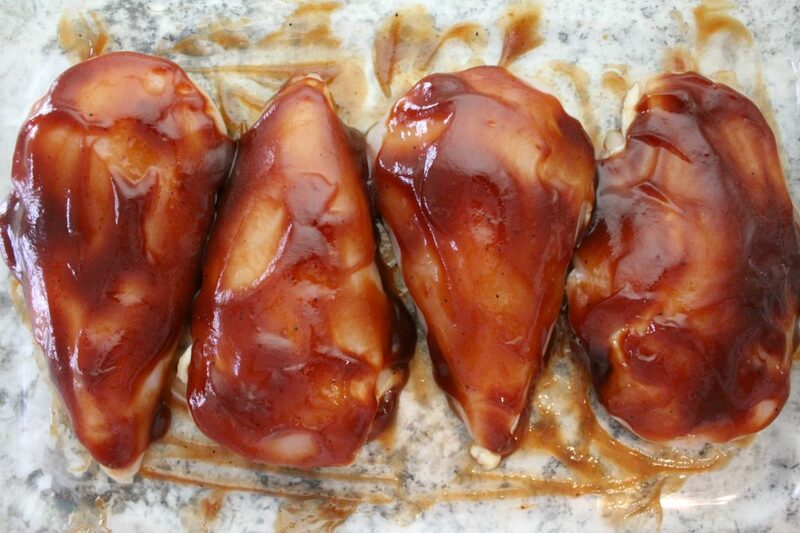 Start by spreading a little BBQ sauce on the bottom of a glass baking dish, just enough so that the bottom of the chicken doesn’t dry out in the oven. 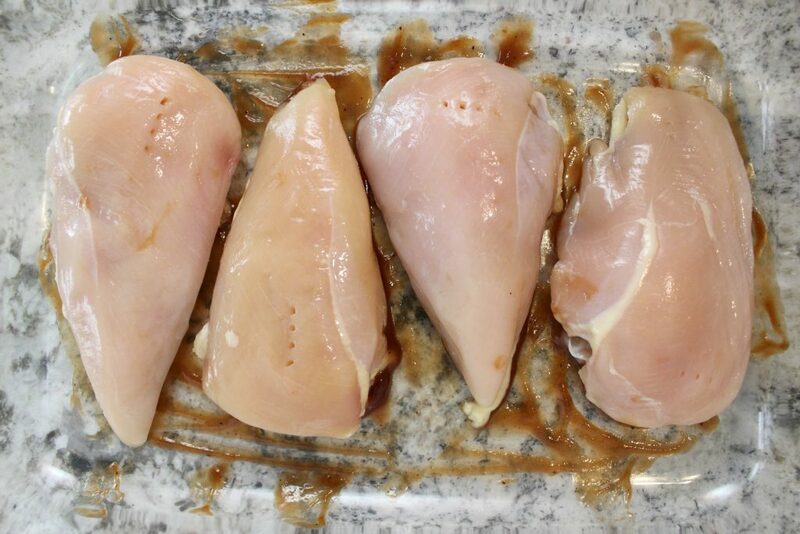 Add four boneless chicken breasts and spread the rest of the BBQ sauce over them. Finally, top with shredded cheddar cheese. If you’d like, you can add your uncooked bacon at this point to save yourself an extra step later. However, I prefer to cook the bacon separately so that it gets nice and crisp, then I sprinkle it over the chicken at the end. After dinner, it was time to get to work cleaning up. I’ve been having my girls help more and more lately because it’s important that they actually do something to earn their allowance. They actually like helping mommy in the kitchen, both cooking and cleaning, and they were super excited when I told them that they were each getting their own Scotch-Brite Scrubbing Dish Cloths (don’t you love how kids get so excited about the simple things in life?)! I’ve learned that when we’re cleaning, my girls need to be told step by step what to do. To make it easier for all of us, I made this Kitchen Chore Chart so that when I’m busy scrubbing dirty pans, they can do their jobs independently. My oldest likes to play “mommy” to my four year old anyway so she reads it aloud and they get to work. Even my little one can do the simple tasks like clearing the table and wiping the counters and I love to see the sense of accomplishment they both feel when they’ve completed the list. 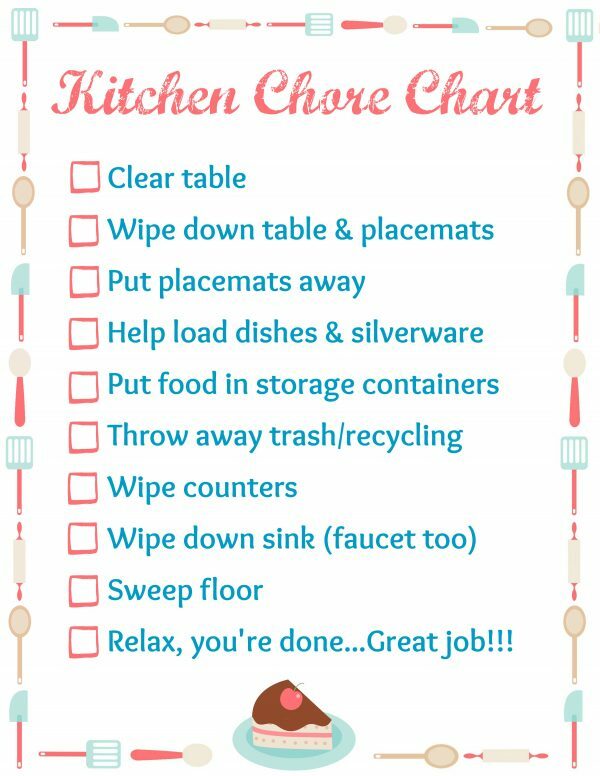 If you’d like to use this chore chart with your own kids, feel free to print out a copy. Put it in a plastic sleeve and use an erasable marker and you can reuse it as often as you want. Of course, they get the easy stuff…here’s what’s left for mommy! Like I said, cooking has grown on me but the cleaning, not so much! I grabbed one of the extra Scotch-Brite Scrubbing Dish Cloths and got to work. The great thing about these is that while they have scrubbing power that your ordinary dish cloths don’t have, they still won’t scratch up your pots and pans. It took some elbow grease but eventually I managed to get all the burnt BBQ sauce and cheese off my pan. I wouldn’t have been able to even attempt that with an ordinary dish cloth! Whew…guess this means that I can keep making our favorite recipe! 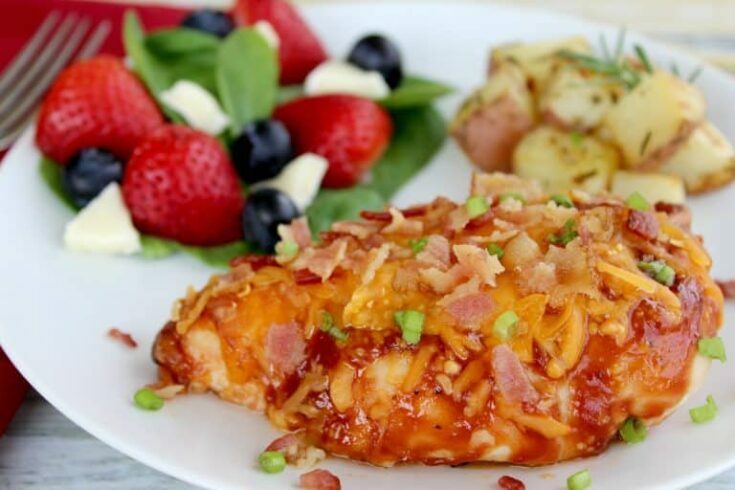 This delicious Cheesy BBQ Bacon Chicken is sure to please the entire family! Learn more about the new Scotch-Brite Scrubbing Dish Cloths by clicking here or visiting them on Facebook and Pinterest. 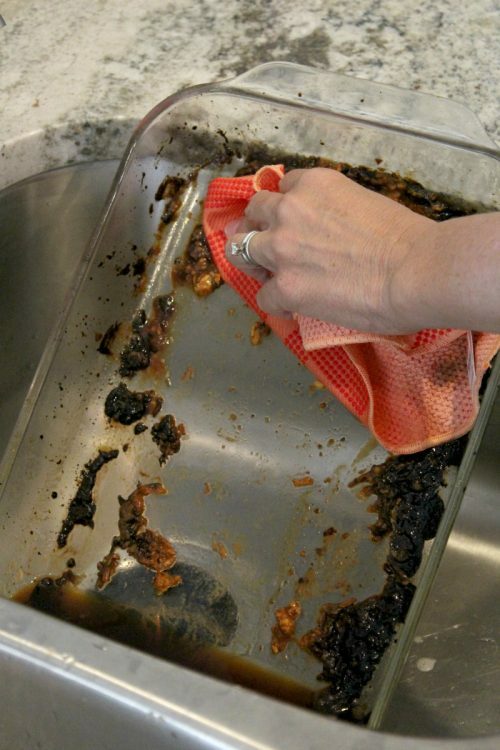 What dish do you make that leaves you with the messiest pots and pans? Do your kids like to help with the clean-up? I love the printable! What a great idea. I can’t wait until I can include the kids in clean up. Right now it’s a mad rush to get them to bed after dinner.. 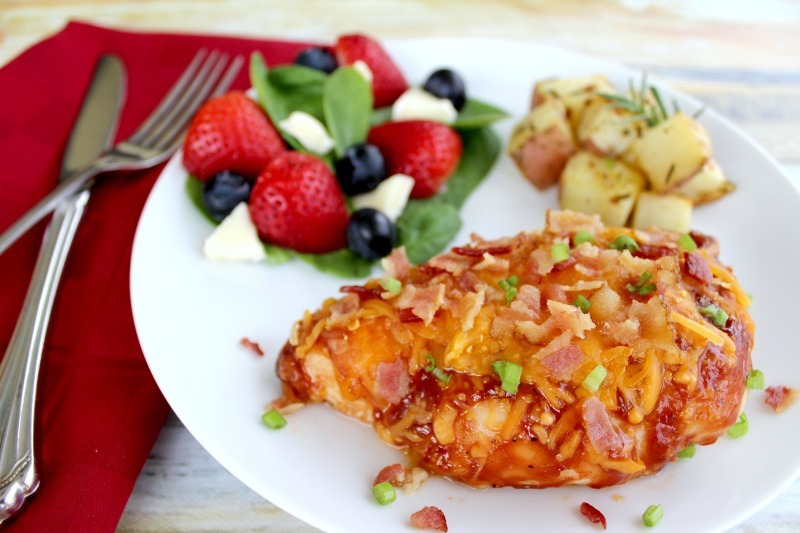 This chicken looks amazing. I am definitely going to give this a try. It always makes cleaning up more fun for the kids when they get their own cleaning supplies…anything to make them feel more like grownups!